10 Mugs to Make for Pumpkin Spice Season! 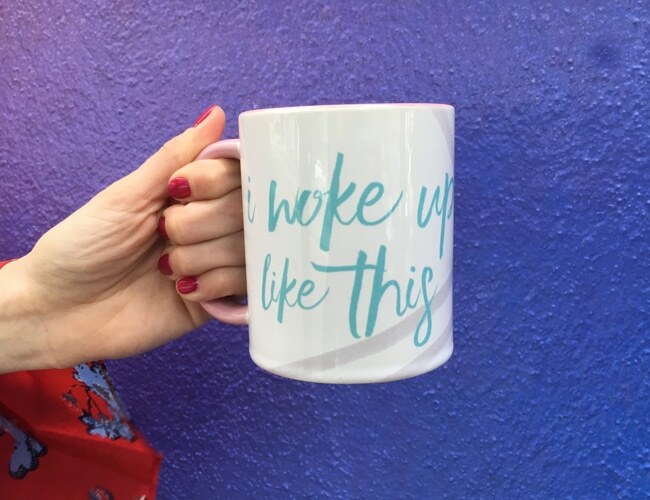 Mundane coffee mugs are so yesterday. 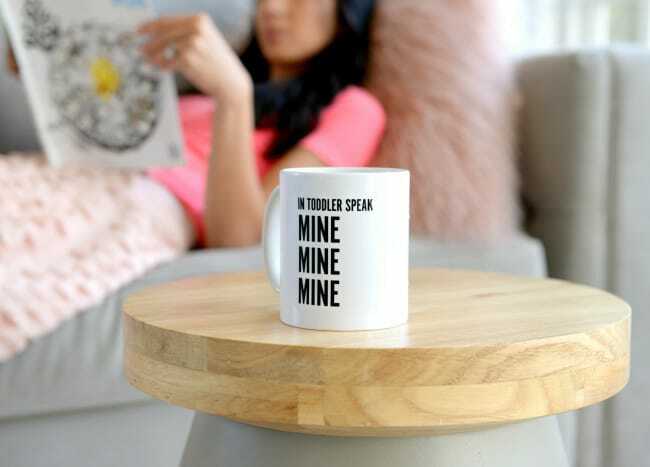 Put some pep in your morning routine with personalised coffee mugs that show the world who’s boss. Get your java on with an ode to your favourite floppy-eared friend. 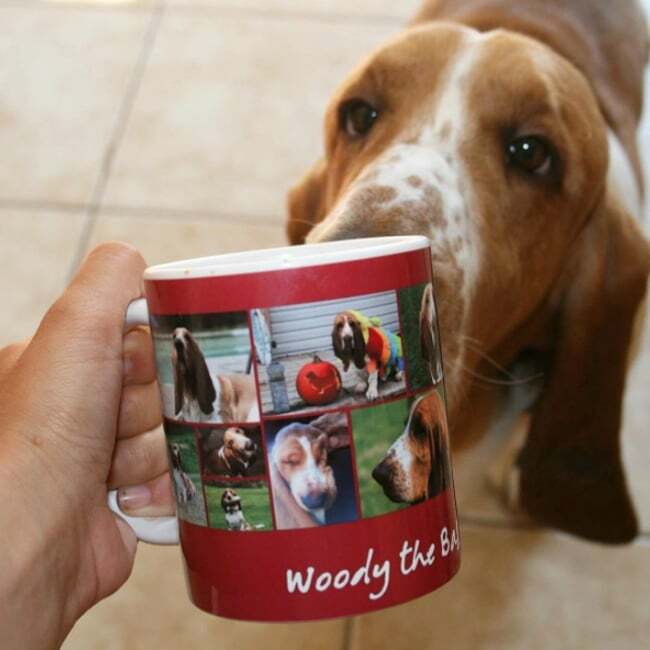 Our furry Instagram fan @WoodytheBassetHound choose this collage mug under Layouts in the project space. Crack a smile in the morning with puns for every personality by adding text that playfully hints at your caffeine addiction. We love these “kit-tea time” and “matcha made in heaven” puns. Make your mugs multi-functional and use ‘em to store colourful pens and supplies! The beginning of the week is no match for you and your partner-in-crime, caffeine. Show off your flawless self (a la Beyoncé) with this sassy embellishment you can find under Basics > Phrases. Show off your keen photography skills with a full-photo layout of a beautiful landscape or awe-inspiring wildlife sightings! We’re very impressed with W-T-Fab’s close-up snap. 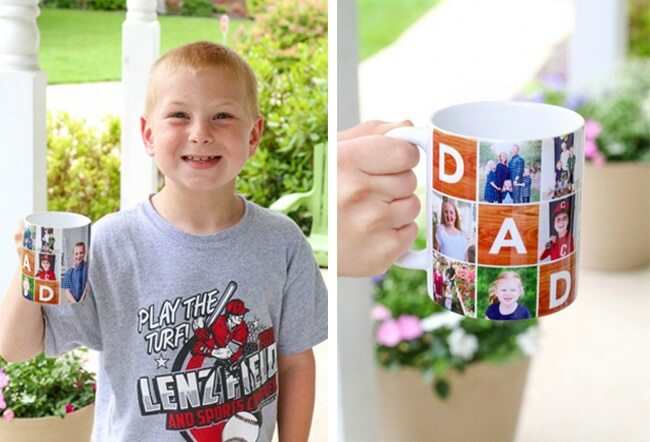 All Things Mama filled this coffee mug with photos of her children as a present for her husband! 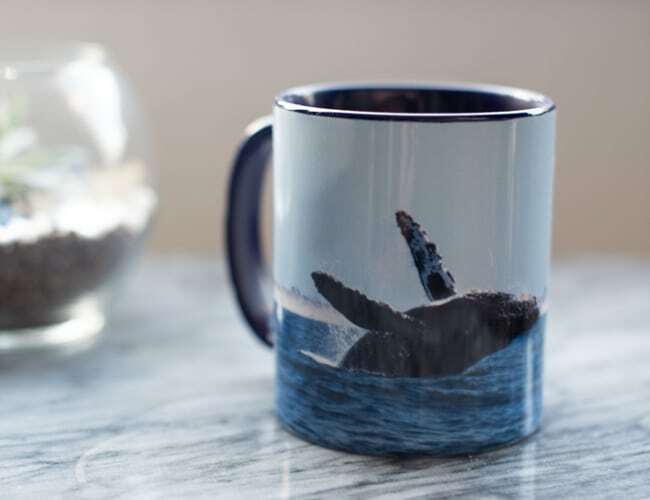 Customise your coffee mugs for whatever hot beverage floats your boat. 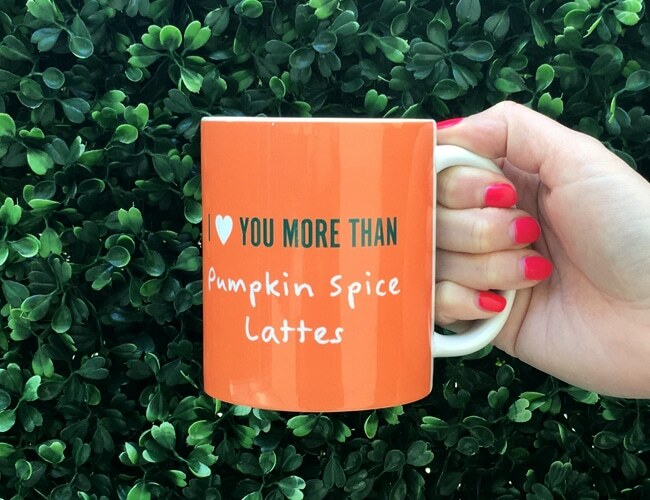 We’re super excited for fall because pumpkin spice everything is back in season! 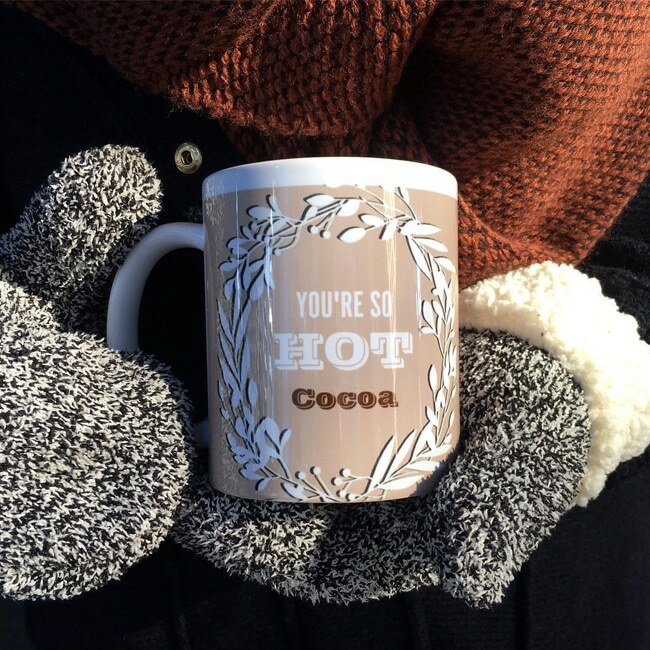 Stock up on cute coffee, hot chocolate, and tea mugs before the winter weather hits. We used two different fonts and a wreath embellishment you can find under Embellishments > Wedding. Hit the road and ditch the mess with a travel-friendly coffee mug. 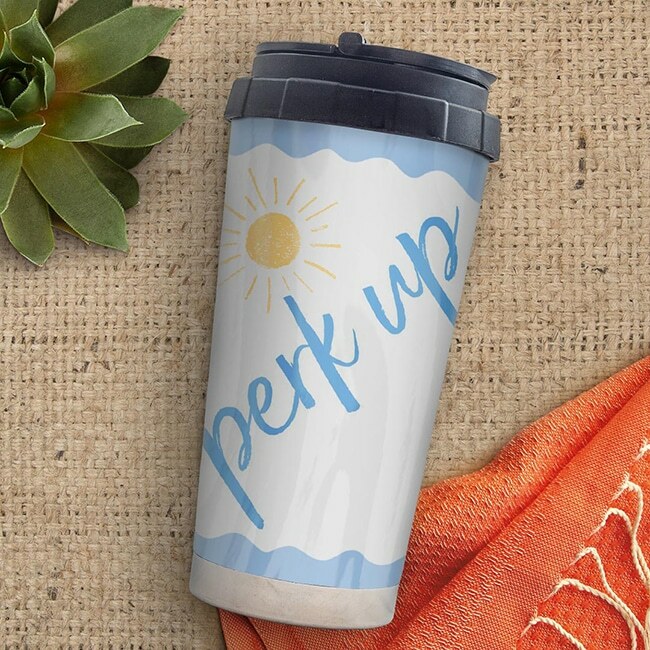 Find this “Perk Up” embellishment under Basics > Phrases. 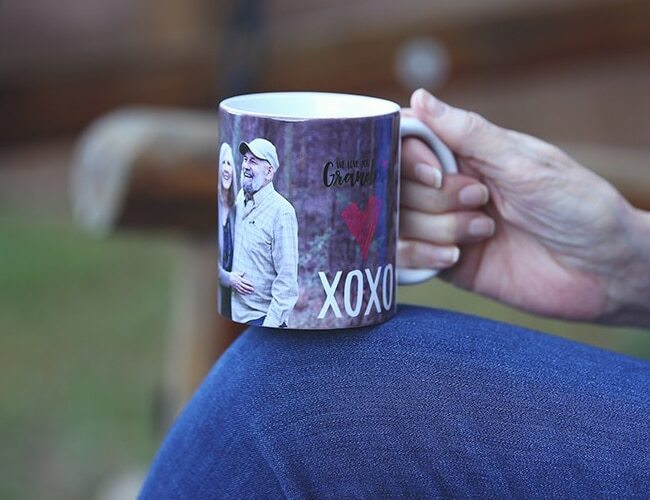 Tagged as coffee mug, ideas, inspiration, photo mug, pumpkin spice, top tips.